Considered by many to be the father of supernatural fiction, Robert W. Chambers' work continues to influence writers today. 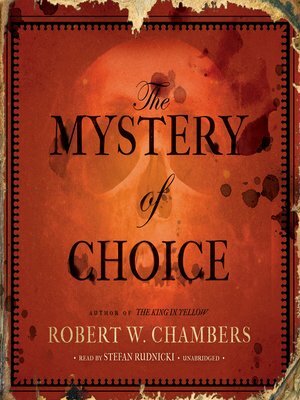 Originally published in 1897, The Mystery of Choice brings together eight chilling tales, most of them set in Brittany. Distinguished by its atmospheric use of natural scenery, this important collection presents an author at the peak of his craft. Included here are "The Purple Emperor," "Pompe Funebre," "The Messenger," "The White Shadow," "Passeur," "The Key to Grief," and "A Matter of Interest."